Which one should you use: angular. copy or angular. extend? As you’d expect, the correct answer to this questions is not between which one to use, but rather which one you need. And the best person to answer this is the developer himself. angular.copy(source, destination) : Here we create a full or deep copy of the object. Essentially a new copy of the object is made, there are now two object pointing to two different memory locations which have the same identical data. angular.extend(destination, src1, src2 …) : Here we create a shallow property copy from one or more source objects to a destination object. The destination will contain all the properties from all the sources. 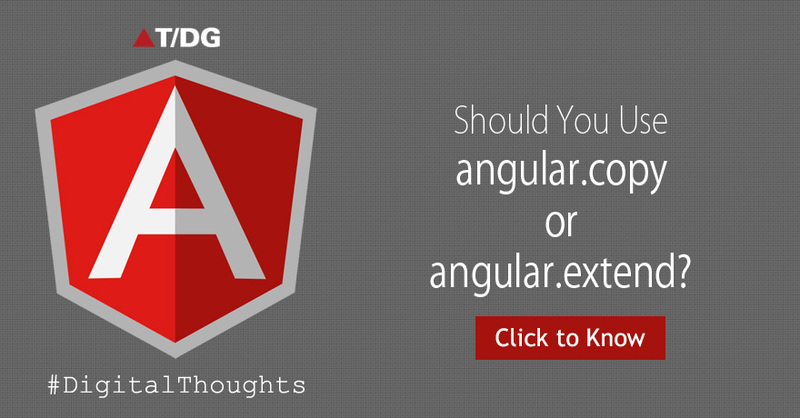 Now based on your usage, you can choose between angular.copy or angular.extend. For further reading, check out angular.copy and angular.extend.